We continued to paint through the rest of the church. The kids are continuing to work hard but one can tell that come are becoming burnt out. We have a few more days left. Let us see. We are tackling parts of the parsonage. Their house is on the second floor of the church. I have never seen that before. 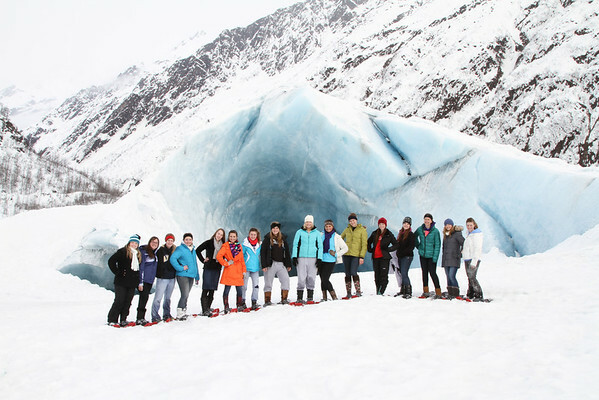 Half of the group loaded up and trekked with snow shoes to a 1.5 mile journey to terminal section of a glacier. 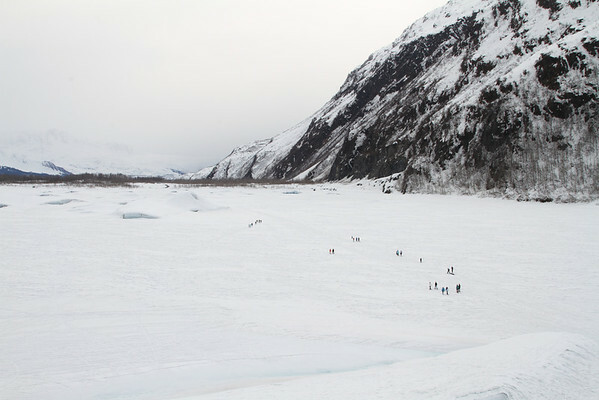 We walked onto a lake with several house sized glacier pieces have broken off like ice cubes in frozen water. The person we were with told us that during the summer time when the lake has melted, the pieces of ice just float around freely in the lake. The picture with the blue looking structure is an example of this. There was a Coors Light Commercial filmed there. It is shown briefly toward the end of the commercial. I saw three bald eagles, two bears and two mountain goats today. I guess the bald eagles here on a garbage scavengers. Clayton spoke tonight. His topic was on "Influence of the Every Man". There were about 12 non-FCA teen there last night. The track coach/police officer here is from Lancaster, OH. So far we met three people from Ohio!